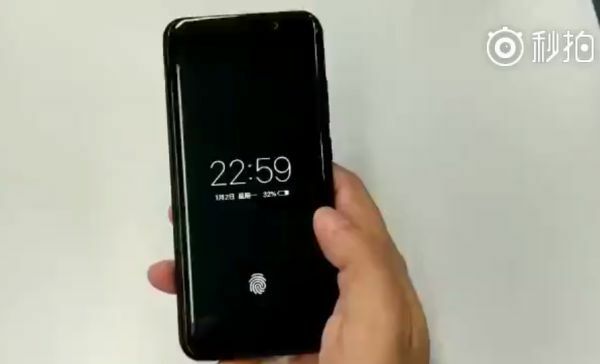 A new phone from Vivo appearing in a leaked video was shown to be unlocked by fingerprint through a sensor embedded within the screen on the device. Rumors suggest that this type of sensor might be appearing in new smartphones soon. A new phone from Chinese manufacturer Vivo surfaced in a video recently leaked to popular micro-blogging site Weibo. Vivo, a company with a history of introducing products including features on the forefront of new technology, seems to be pushing the envelope yet again — as the mysterious new phone features what would appear to be a fingerprint reader placed just underneath the front touch panel. Since Vivo has yet to make an official announcement surrounding the product shown in the leaked video, it would be prudent to wait and see just how and when this technology will arrive. Although, if rumors are to be believed, this new type of fingerprint reading scanner may be appearing on other smart devices from the likes of Samsung and Apple. While it seems that Vivo is looking to be one of the first on the market with this embedded fingerprint reader, only time will tell if it can beat other smartphone manufacturers to the punch. It seems like the next natural step in a growing trend among manufacturers to move away from hardware buttons and anything else that might hog precious screen real-estate. However, it will be interesting to see just how responsive this new type of sensor will be in everyday use. An official announcement may come from the company should it make its rumored appearance at the MWC conference in Shanghai on June 28th.